When the red meets green, they always look extremely vivid colour in a whole package, as well as reminds me any festive or celebration. Well, it should be Easter Day since it's around the corner. 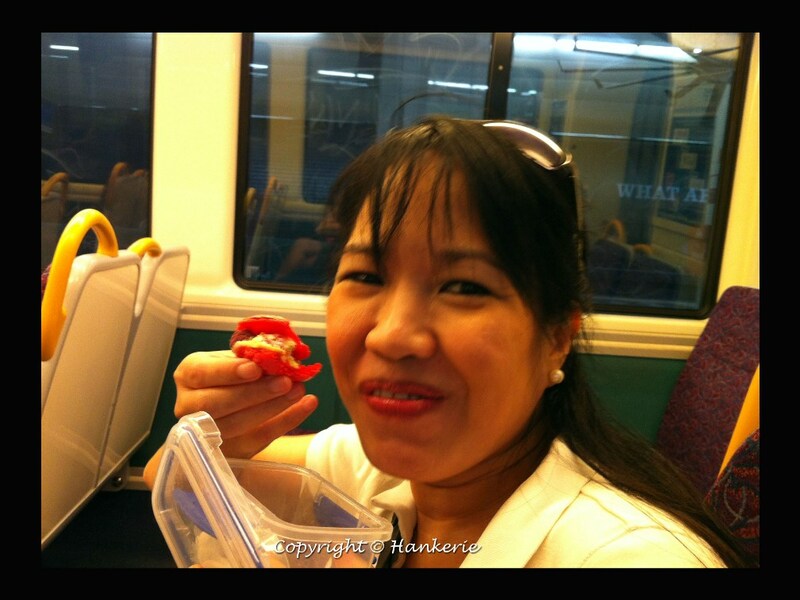 Macarons, wonder why the craziness came back again recently. Strongly believe that must be both of my office's Irish girl and Canadian guy who always influence me to bake macarons for them. For them, there's the best dessert in Ireland and Canada, or perhaps it's the western culture. 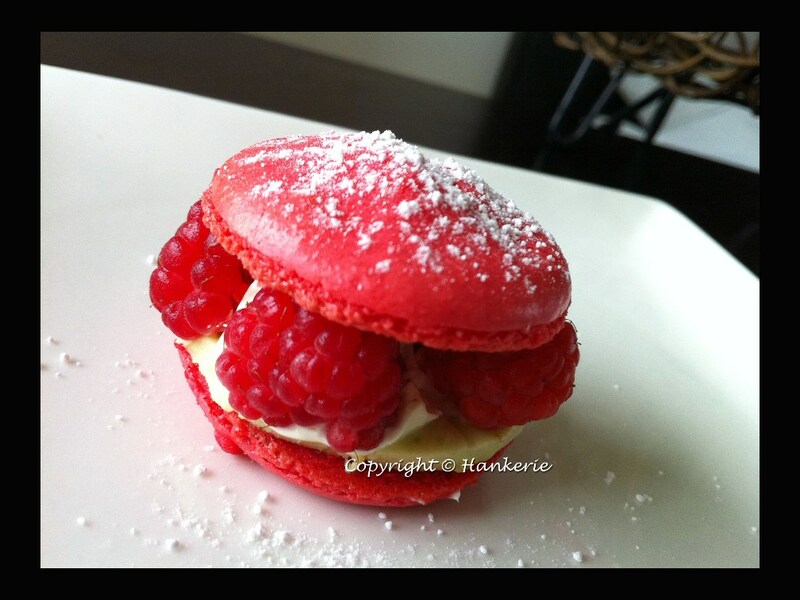 Anyhow, when you see how they enjoying the macaron, you will understand the proper way to enjoy each of the bite of these little sweet "burgers". 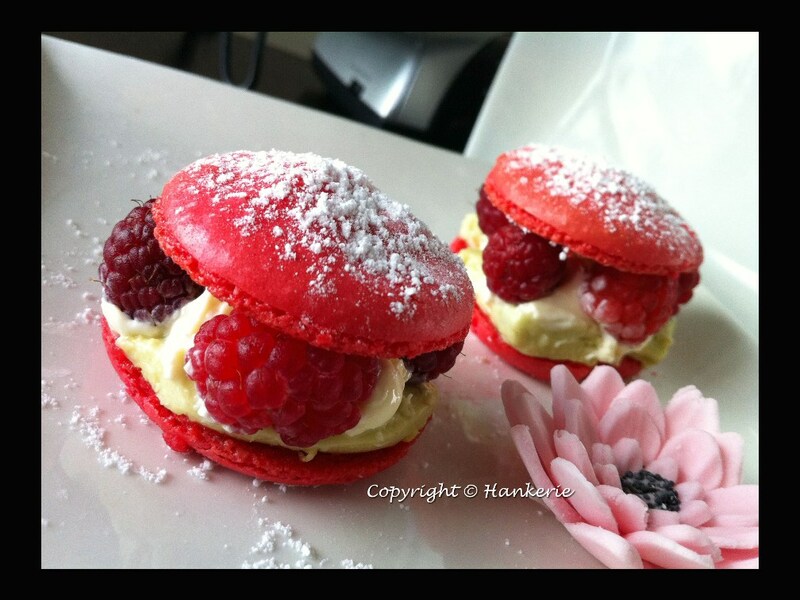 Hankerie's another macaron new adventure, dress them up with raspberries. Add a few drops of red food colouring. Fill the mixture into piping bag and pipe little circle. Indeed, they look so bright red. 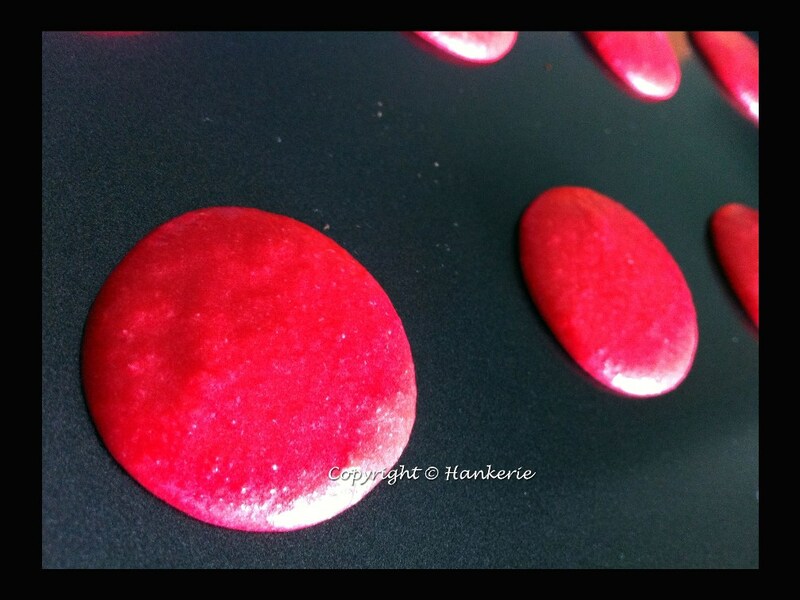 If you do not want too red, just put a drop of red food coloring will do. Fabulous. Love the use of avocado in desserts. Great for flavor and color. Stunning macs and nice presentation.